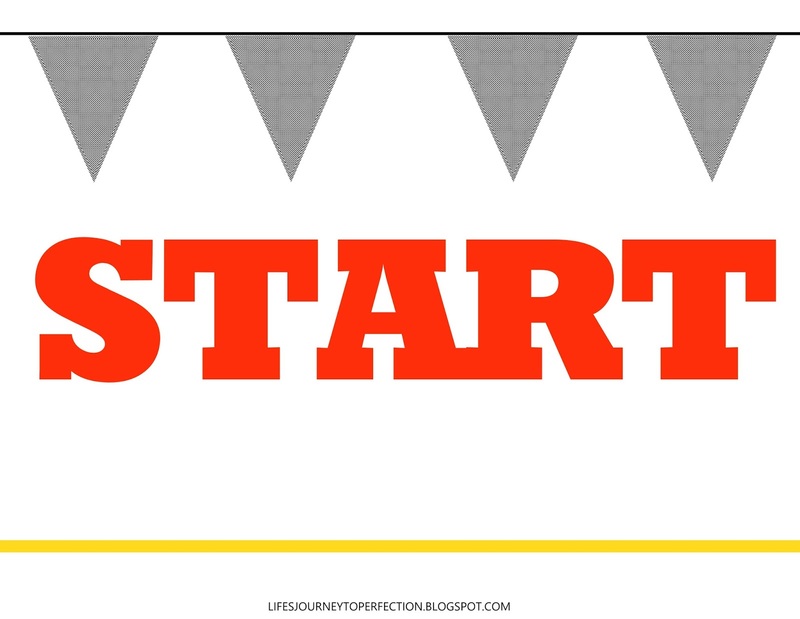 I was thinking that this fifth week could be a fun little review and a complete focus on the month's theme. ". Place footsteps leading to the picture of Christ at the front of the room. Invite a primary child to pick up and read the first footprint. The first footprint will say "FAITH" on it. 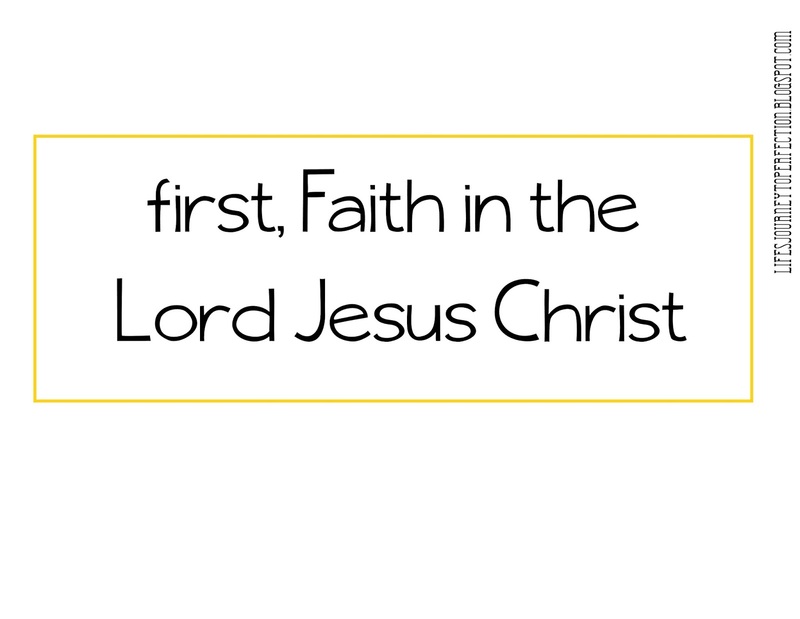 Invite the primary children to sing, "Faith", Children's Songbook pg 96. After the song invite the children to share how the principle of faith can lead them to Jesus Christ. Place the word strip "first, Faith in the Lord Jesus Christ;" on the board. Invite another child to come and read what the second foot print says. The second footprint will say "REPENTANCE" on it. 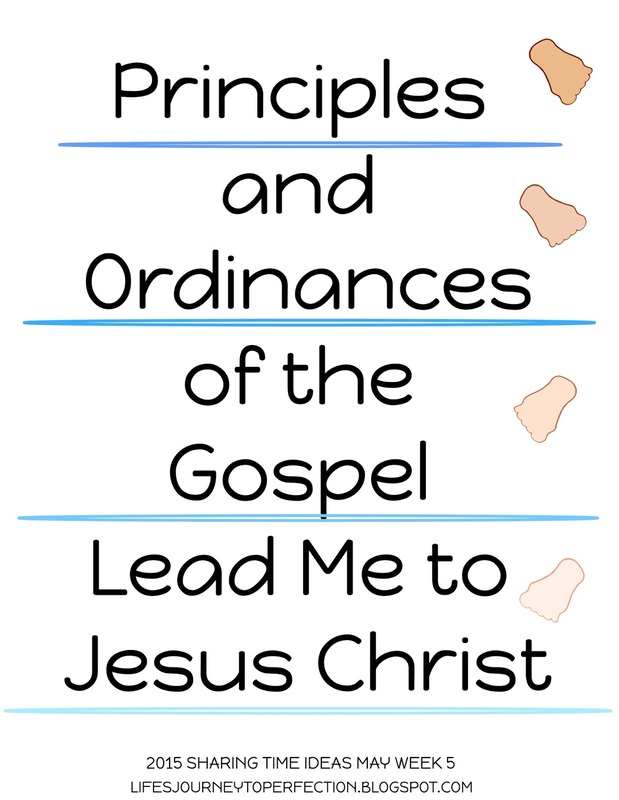 Invite the primary children to sing, "Repentance", Children's Songbook page 98. After the song invite the children to share how the principle of Repentance can lead them to Jesus Christ. This discussion might include that of the atonement. 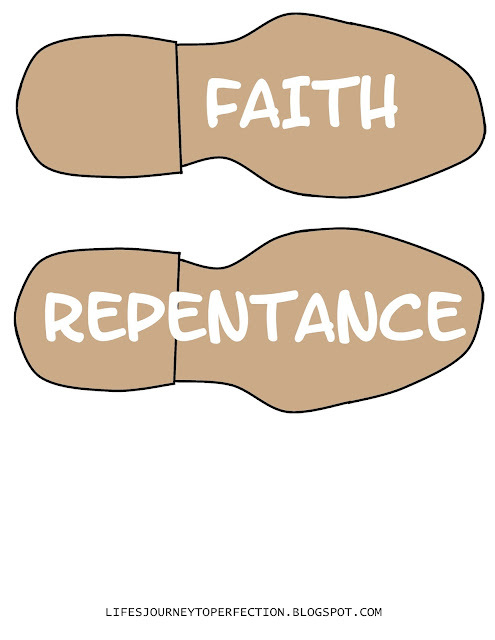 Place the word strip, "second, Repentance;". Invite another child to come and read what the thrid foot print says. 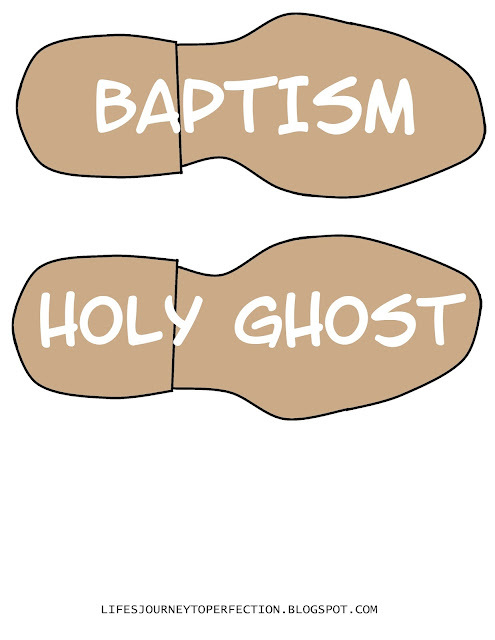 The third footprint will say, "Baptism". 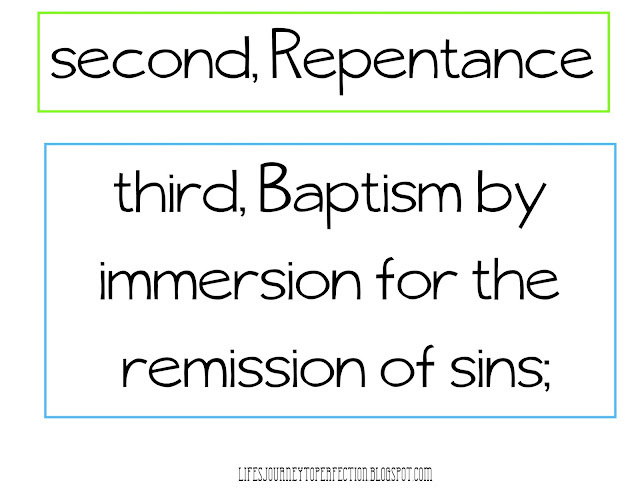 Invite the primary children to sing, "Baptism" Children's Songbook page 100. After the song invite the children to share how the ordinance of baptism can lead them to Jesus Christ. Place the word strip, "third, Baptism by immersion for the remission of sins;"
Invite another child to come and read what the fourth foot print says. 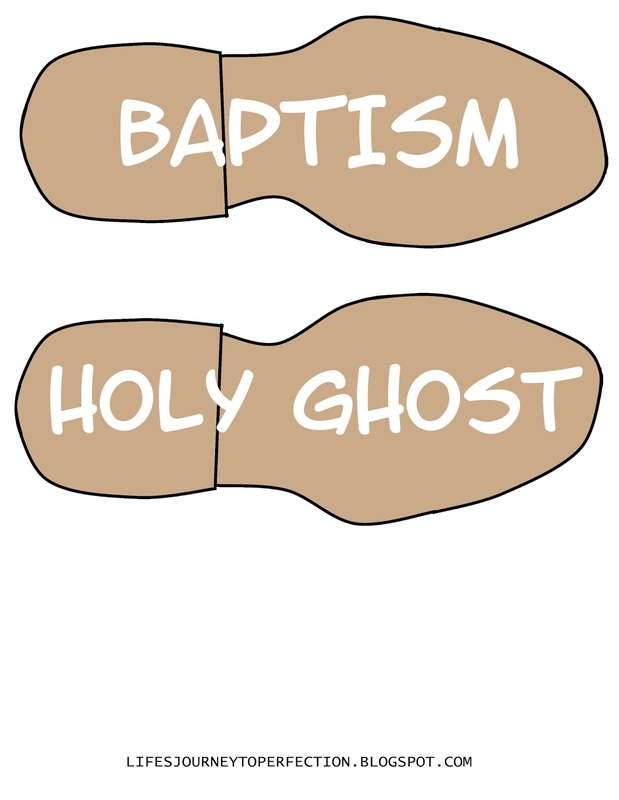 The fourth footprint will say, "Holy Ghost". Invite the primary children to sing, "The Holy Ghost", Children's Songbook page 105. After the song invite the children to share how the receiving the gift of the Holy Ghost can lead them to Jesus Christ. 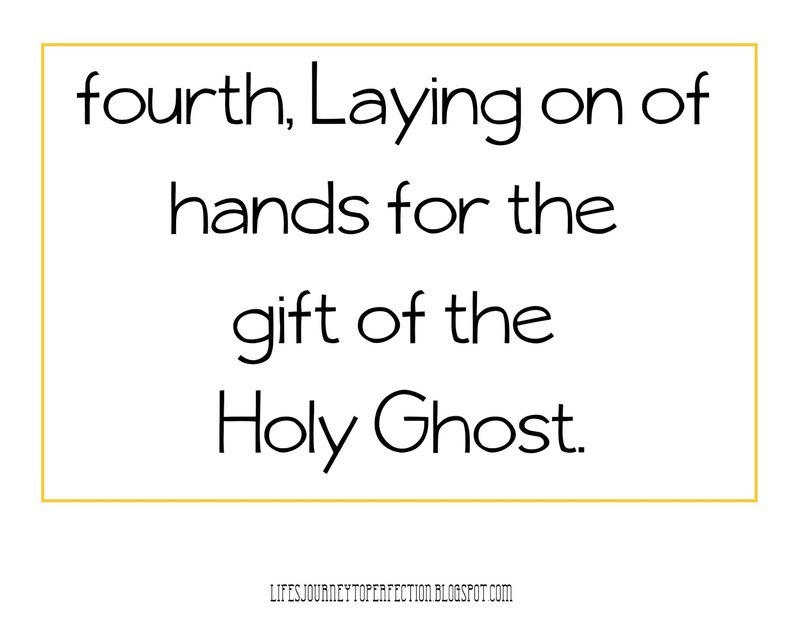 Place the word strip, "fourth, Laying on of hands for the gift of the Holy Ghost." 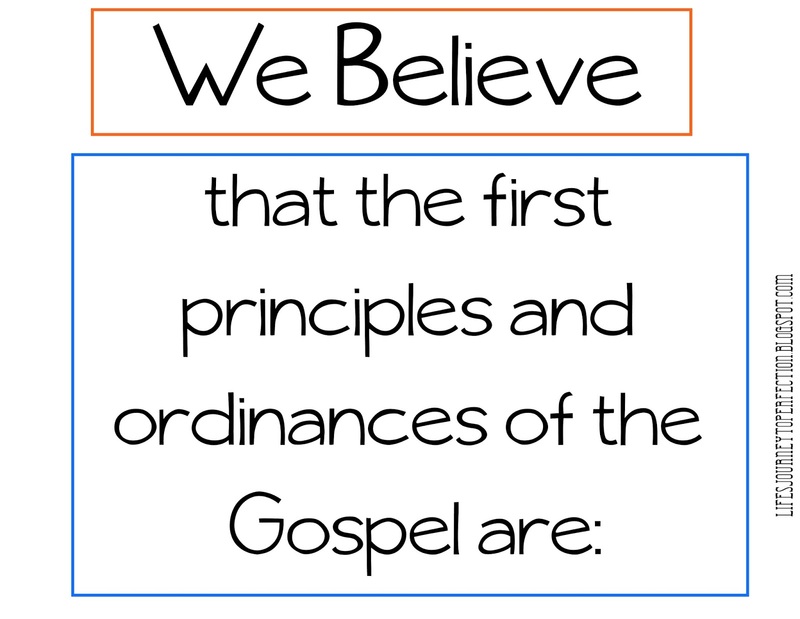 Invite the children to repeat The Fourth Article of Faith with you. Then, share your testimony of how the principles and ordinances of the gospel can help lead us to Jesus Christ.